Poverty is not a new age problem. Poverty has been around for many years. 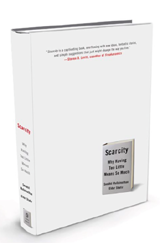 The Scriptures mention poverty more than 2,100 times. 2014 was the 50-year anniversary of the "War on Poverty." Poverty is complex though. Some think that the issue is simply a money/debt problem. The common thought is, "Teach them to handle their money, then they will get out of poverty." That might work for some, but most of the time poverty is much deeper. Sometimes even the ways we as Christians help, can cause more problems. 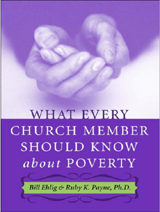 We (Rich, Middle Class, or Poor Christians) have to deal with the system behind poverty. You have heard the common saying, "Give a man a fish, he will eat for a day. Teach a man to fish, he will eat for the rest of his life." But we also have to ask, who owns the pond? Who built the fence around the pond, and who polluted it? And why does a fishing license cost so much? A question to ask is, "Who are the poor?" 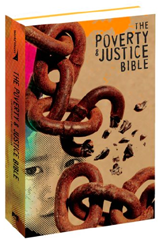 The Poverty and Justice Bible says, "The genuinely poor are those robbed of the ability to make choices for themselves – the choice for safe and clean water, the choice of an education, the choice of protection from abuse, the choice of medical care, and more." The U.S. Census Bureau defines the Poverty Line as a family of four living under $23,050. Suburbs in the largest metro areas saw their poor population increase 25% from 2000 to 2008. 71% of all Supplemental Nutrition Assistance Program (SNAP) benefits go to households with children. Poverty is more than stats. Poverty affects us all in some way, shape, or form. We need to get to know the poor. 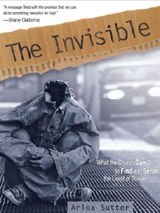 Shane Claiborne once said, "I had come to see that the great tragedy of the church is not that rich Christians do not care about the poor but that rich Christians do not know the poor." 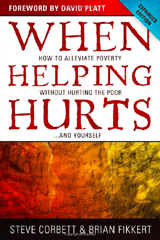 Jesus speaks directly to issues of poverty in Matthew 25:40, "As you have done it unto the least of these my brethren, you have done it unto me." We are called to love the poor, sometimes that may mean feeding their bellies but other times that might mean looking deeper into their stories and learning to love them through their emotional and psychological scars, which poverty leaves. The following scriptural references have been chosen as the Biblical basis for the position statement on poverty for The Wesleyan Church worldwide. They have been selected as a starting point for the Church’s response to global poverty on the basis that they clearly demonstrate the heart of God towards the poor, and provide theological underpinning for the timeless mandate to the Church to meet the needs of the poor proactively. All references in this document are quoted from the New King James Version. 1. God's call for justice, love, and humility. 2. God cares for the poor. 3. God hates discrimination against the poor. 4. God wants the poor to be cared for. 5. Caring for the poor fulfills God's law. 1. Help at a soup kitchen/homeless shelter but make it personal. Eat with them and get to know their names and stories. 2. Host a screening of the movie The Line (http://www.thelinemovie.com) at your church, in your community, with friends/family and start a discussion on poverty and how you can help alleviate poverty.